Jerry Leiber (25 Apr 1933 - 22 Aug 2011), one-half of the legendary Brill Building songwriting team of Leiber and Stoller, has passed away at the age of 78. Nick Ashford (04 May 1942 - 22 Aug 2011), from the successful husband-wife team of Ashford & Simpson, has passed away at the age of 69. Rest in peace, gentlemen. Thank you for all of your musical contributions over the years. 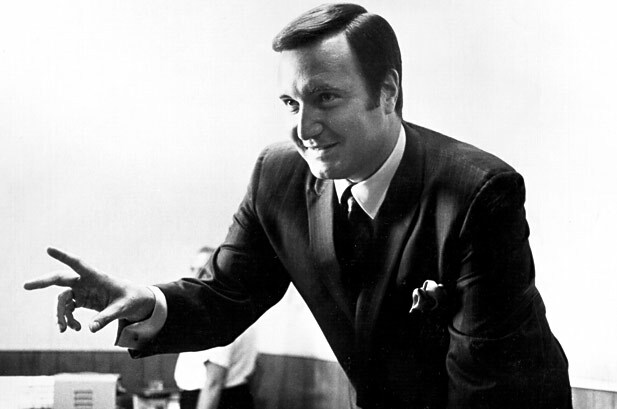 Don Kirshner, the music publisher, artist manager and impresario behind the successes of singers and songwriters such as Bobby Darin, Connie Francis, Neil Sedaka, The Monkees, and The Archies, passed away in Florida on January 17, 2011, at the age of 76. A tribute page on my Ron Dante fansite will be expanded upon to highlight Kirshner's many achievements over more than half a century in the music business. Condolences to Kirshner's wife of 50 years, Sheila; their son and daughter, Ricky and Daryn; and the couple's five grandchildren. Television host, disk jockey, emcee, writer, producer, movie star, singer, and author Clay Cole passed away at his North Carolina home on December 18, 2010. R.I.P. Clay. Please go to the Petitions page for some info on how YOU can help get Clay inducted into the Rock and Roll Hall of Fame. Although this honor may now be bestowed posthumously, it is well deserved and we know that Clay will be watching from Rock and Roll Heaven and smiling. Please sign the petition to get him inducted. A tragic loss for the music world - Johnny Maestro passed away in Florida on March 24, 2010, at the age of 70. Maestro was born John Mastrangelo on May 7, 1939, in Brooklyn, NY. He first rose to prominence as lead singer of The Crests, one of the first interracial recording groups (consisting of 2 black males, 1 black female, and 1 Puerto Rican in addition to Maestro). After several hits, including their biggest, "16 Candles," Maestro left the group to go solo, eventually joining The Del-Satins. The following year, 1968, The Del-Satins joined forces with a group called The Rhythm Method and became The Brooklyn Bridge (the inside joke being that the group would be "harder to sell than the Brooklyn Bridge"); their first release, "The Worst That Could Happen," became Maestro's signature tune. R.I.P. Johnny, and thank you. 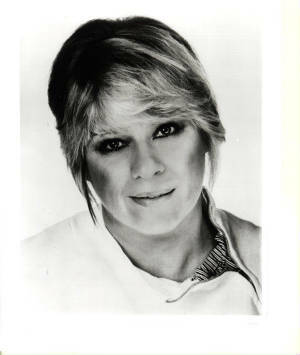 On August 26, 2009, the music world suffered a shocking and unexpected loss with the passing of singer-songwriter-producer Ellie Greenwich. Click on Ellie's name to get to my tribute page for this wonderfully talented lady. Musician & innovator Les Paul died on August 13, 2009 at the age of 94. Much of the great rock and roll music over the years would not have been possible without the contributions and influence of this hugely talented man. R.I.P., Les, and thank you. A tragic and shocking loss for the music world ... Michael Jackson, who began his professional career at the age of 11 with The Jackson Five, has passed away at the age of 50. His talent and brilliance will be missed; his legacy will live on forever. On February 11, 2009, Estelle Bennett of The Ronettes was found dead at her New Jersey home. 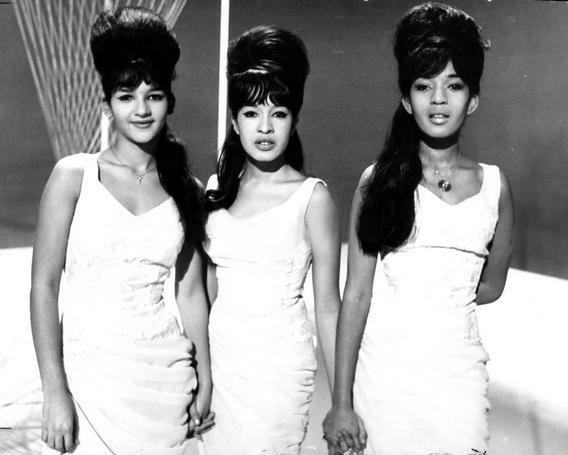 Estelle was the sister of lead singer Ronnie Spector and cousin of Nedra Talley (above, left to right: Nedra, Ronnie, Estelle). Please see my Jeff Barry Fan Page for a wonderful performance video from 1965 and a few words from Jeff, who co-wrote "Be My Baby" and "Baby, I Love You." Rest in peace, Estelle.